The starting line was a little boring I thought but it was cool to see Mickey, Donald, and Goofy there. The starting fireworks went off and Dave and I took off. For about 3 seconds…and then I had to leave my buddy. Unfortunately he just wasn’t really ready for the race and we were going to have very different experiences. My original goal was about 4:30 which was about a 10:30 pace. That seemed doable based on my 20 mile run a few weeks before the race that I finished in 3:30. There was one problem with that on Sunday though. The starting temperature was 65F. It was predicted to be in the 80s by 1pm but I know Florida weather and it was pretty sure to hit that before I finished. So for the first half of the race I wanted to do nothing but take advantage of the cooler weather. I kept a pretty good pace for the first 17 miles. Around 10:30 – 10:45. I hit the 13.1 mark at 2:23 which was 10 minutes slower than my 20 mile run. Not bad. Even mile 20 I was hitting around 3:50 or so which wasn’t horribly behind my target. But those last 6 miles got hot and I had to walk about half of 21 – 23. At that point, I decided I needed to do it to conserve some juice for the end because I was seriously hurting. It was a smart move. The final 3 miles I was able to run, though at a plodding 12 min or so pace. Each mile I was able to run a bit harder. And as I got to the end of the race, I did what I always try and do and sprinted to the end. Gotta say that it felt really good to sprint to the end of the marathon. The pictures looked great overall and the finish especially looked good. Hollywood Studios was better during the Wine & Dine but like that race, it meant I was close to the end. So that was awesome. And it was packed and full of cheering crowds. Very high energy. Good music. It was fun running through the backlot tour area and then down to the NYC skyline. Definitely another cool part of the run. 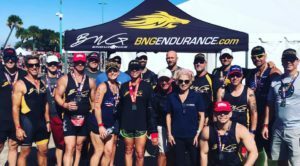 This year was the first year through the ESPN Sportzone area and we ran around the 1 mile banked NASCAR track which had a full car show for us. Then we ran around the football field and then did a lap around the baseball diamond that the Braves use for spring training. They never run through that part of the park and I’m glad they added it. The lead up to the Wild Animal Kingdom was cool because they brought out a ton of animals to watch us. Unfortunately I don’t like running through that park because its so narrow. Its really a tough part to navigate because of the crowds. Epcot is always a great place to run. I loved running around the World Showcase and then it was also the finish. I knew when I got to Epcot that I’d made it. It might be painful but I was going to finish. The roads between the parks could be a bit dull even with the entertainment. They’re just not very scenic and I felt like the entertainment at the Wine & Dine was much better on the roads. Um, really, 3 a.m.? I have had to be up early for many races but that’s a bit extreme. No way around it since transportation to the start is so tough. We’re there so early you’d think they could comp us some coffee. Too many narrow parts of the run. The race never cleared out. If I’d started at my appropriate wave, MAYBE I’d have seen some space but I never did. And even in the 20s there just was very little breathing room. So my final time was 5:24:13 and given the weather and the fact that I was on a 10 week training program (NEVER DO THAT) that was, while not what I hoped, a great finish. I would love to run a marathon in a more northern climate where I can count on cooler weather and see if I can get that 4:30 or under time. 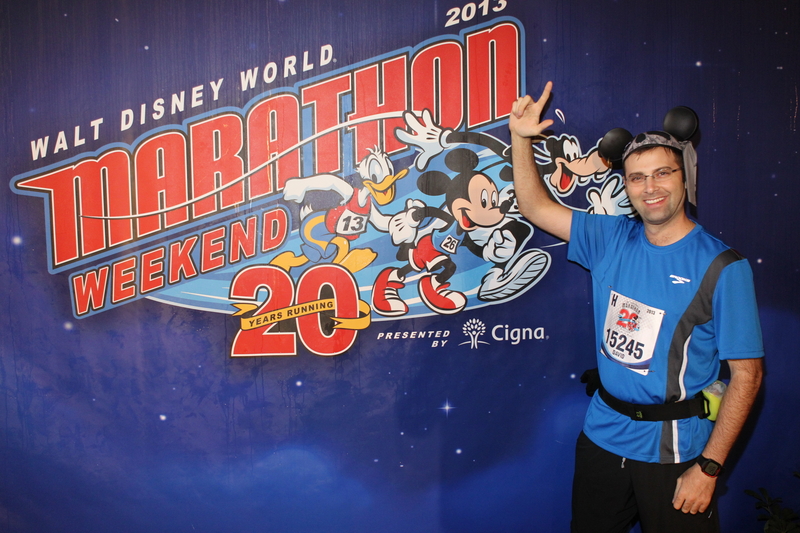 I also never intend to run the WDW marathon again. Do it once. Its worth the experience but only once. I may do the Wine & Dine again though since that one is at night and easier to deal with. The after party rocks too.